SKU: sr5. Category: Serums, YUM Organic Skin Care. Yum DNA Apple Smoothing Masque is a revitalizing treatment masque that invigorates while offering protection from premature oxidation. 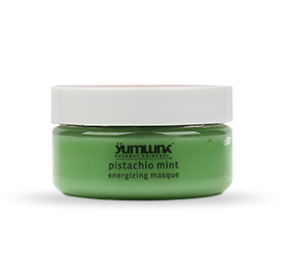 This unique masque initially warms then cools-energizing sluggish skin and enhancing cellular revitalization. Visible signs of aging or irritation are neutralized by the indulgent cocktail of Yeast derived pseudo-DNA Complex, Organic Rosehip oil, Ferulic Acid, Boswellia Vitamin C and Sugar Apple Extract. Excellent for sluggish or dull looking skin. For mature, oily/combination, all skin types.